This tour will take place from Monday 13th - Sunday 19th May 2019. We would like to explore in more detail both the Alconoque & Grazelema Natural Park's (an area of 1,677 km2) and also try out some new hotels in the area, this will allow us to get feedback after the tour and fine tune the itinerary before adding it to our main touring schedule. After having breakfast, your tour will begin. Leaving the guesthouse around 9:00 we start travelling West to Maro before turning North into "Sierra Tejada", passing through Frigiliana, Competa and Canillas de Acetuno where we'll be stopping for lunch. We shall then head West towards El Chorro and Ardales, our final destination for the day and where we shall be staying this evening. This morning, we will be visiting the famous "El Caminito del Rey" before setting off for Alora, El Burgo and "Cueva de Pileta" which contains some of the oldest cave paintings in Europe. We shall then make our way to Ronda where we shall be spending the night. Following breakfast, we will be spending most of the day exploring "Alconoque & Grazelema Natural Parks". Passing through Guacin, La Sauceda, El Bosque we will eventually arrive at Grazalema where we shall be sleeping this evening. Today we travel North to Zahara then East, passing through Setanil de las Bodegas and Embalsa de Guadalhorce before reaching "Lobo Park". Here you will be able to observe the behavior of wolf packs in their natural enviroment. After our visit to the park we will travel the short distance South to Valle de Abdalajis where we will be staying tonight. Today will see us continuing East and visiting "El Torcal Natural Park" which is famous for it's unusual limestone rock formations. From here we will continue East through "Sierra de Alhama", Ventas de Zafarraya and into Alhama de Granada where we shall be stopping for lunch. We will then be traveling South through "Sierras de Alhama, Tejada y Almijara Natural Park" and Sierra del Chaperral for our final leg of the tour and back to the headquarters in Vélez de Benaudalla, arriving around 18:00. This tour will take place from 13th - 19th May 2019. Getting to Malaga International Airport is easy with regular flights from many European cities. We will be offering one airport transfer on the day of arrival and the day of departure. The recommended arrival date for this tour is Monday 13th May 2019. Please allow enough time for administration, bike allocation and commissioning. You are more than welcome to arrive and/or depart a day or two earlier/later but there is a possibility you will have to make your own travel arrangements as airport transfers may not be available. 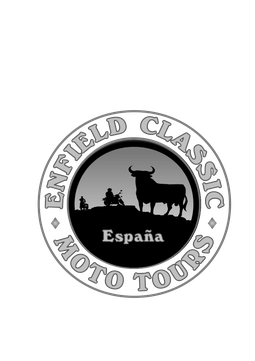 The total cost of this tour will be 790€ per person and is based on four riders sharing two rooms. If you would prefer to have a private room this can be arranged, kindly note that a single room suplement of aprox. 300€ will be applied. A deposit of 400€ is required to secure your place on this tour with the remainder of the balance being paid on arrival. The skill level on this tour will be classed as INTERMEDIATE. The emphasis of this tour is about riding on fantastic roads through stunning scenery. Although we take a fairly laid back approach, stopping for regular coffee/photo breaks and for lunch, you can still expect to be on your bike between 6 to 8 hours a day. You should be a confident rider and your pillion (if applicable) should be comfortable covering a distance of around 200 kms per-day. The cost will include, airport transfers, six nights shared accommodation, all entrance fees, motorcycle rental with third party liability insurance and fuel.